In recent decades, there has been a growth trend among women-owned businesses. Our staff at the Olen Law Office is dedicated to providing legal guidance and representation to female business owners and helping this trend to continue. Our Bucks County business lawyer Elliot Mark Olen has been handling a wide variety of business law issues since 1978 and understands the special issues facing women entrepreneurs. Whether you are a businesswoman seeking the guidance of a legal professional for business formation issues or business litigation representation, contact the Olen Law Office to discuss with a Bucks County business lawyer. Whether you are expanding the scope of your business, seeking government certification or revising operational bylaws, it is wise to seek the counsel of an experienced business law attorney. 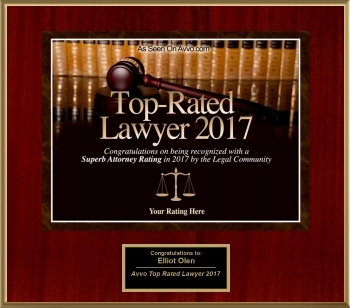 As a knowledgeable Bucks County business lawyer, Elliot Mark Olen strives to provide personal service and individual attention to clients through the legal process — start to finish. Through the history of our practice, we have gained the ability to provide legal advice and representation to clients struggling through a number of diverse business experiences. If you have started an online business that you operate out of your home and now want to own a brick-and-mortar location, contact our firm. If you are considering purchasing your first business, contact our firm. We encourage prospective clients to schedule a consultation as early as possible in the process. If you have further questions regarding issues surrounding women in business, we encourage you to schedule a consultation at the Olen Law Office. We can be reached by calling 215-943-5343 or by completing our online contact form. To better suit your needs, we are able to conduct business online and we accept all major credit cards.